The American Society for the Prevention of Cruelty to Animals (ASPCA) is the oldest and largest humane society in North America. 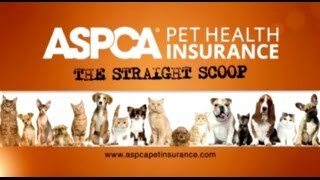 In 2006, the ASPCA teamed up with the Hartville Pet Insurance Group in order to continue their legacy of caring and treating injured animals by providing insurance to pet owners. Today, they offer two plans(accident and illness, and accident only) of pet insurance and 3 optional wellness add-ons that will fit the needs of any pet owner. ASPCA Pet Health Insurance is perfect for owners who want an extremely customizable plan that allows them to choose exactly what their pet is covered for. ASPCA offers 2 different plans which are customizable for deductible, reimbursement percentage, and annual limit – which is then reflected in your monthly premium. The first and most comprehensive plan is called “Complete Coverage” and covers most illness and accidents. It comes with with optional wellness add-ons at three increasingly better coverages. 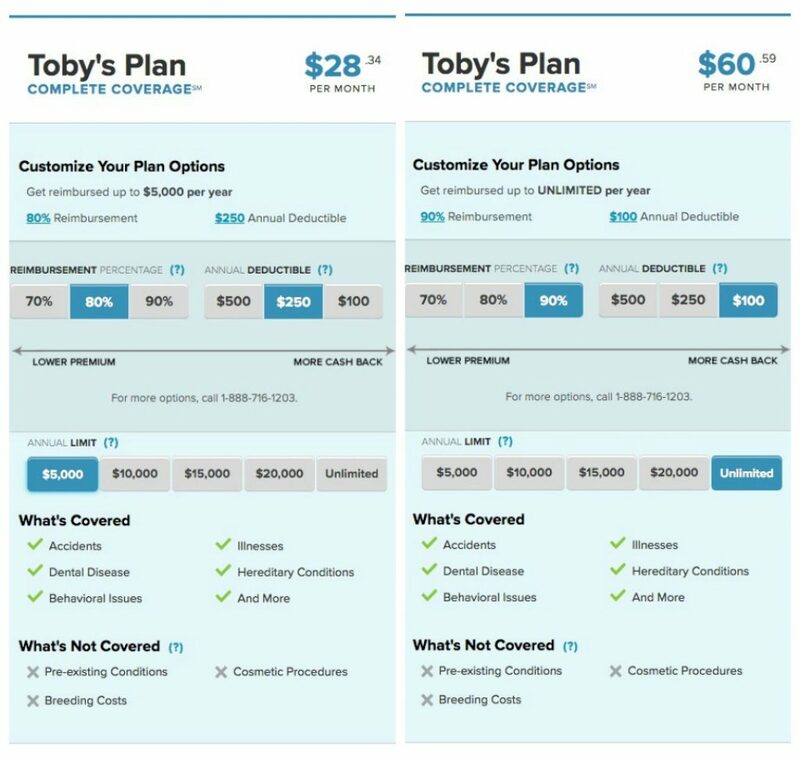 With this plan pre-existing conditions and pregnancy/breeding expenses are not covered – but most everything else including hereditary/congenital issues, behavioral issues, exam fees and even advanced treatments, like chemotherapy and surgery, and some you may not expect, such as stem-cell therapy and acupuncture. 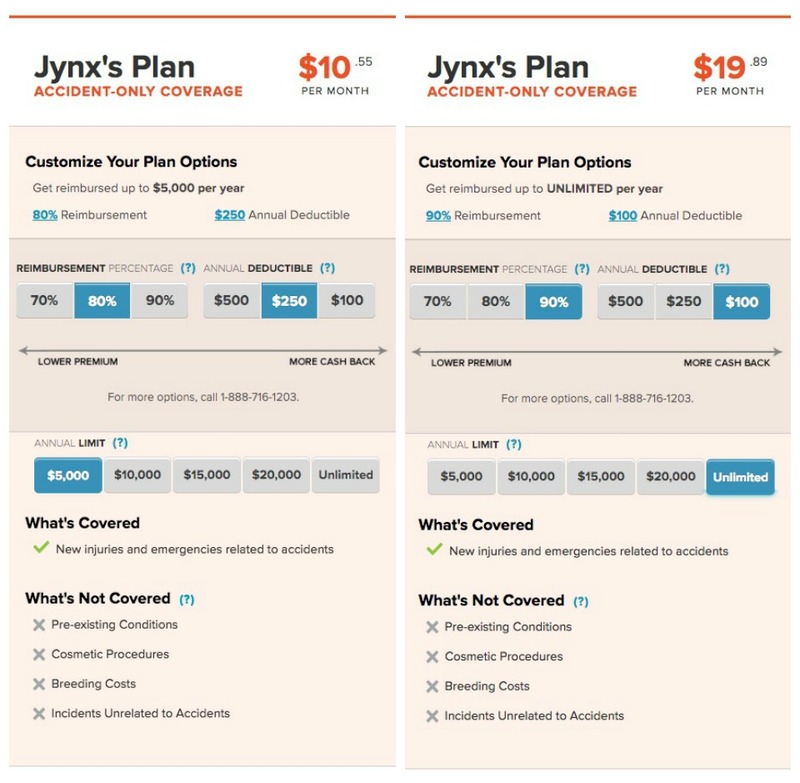 These plans can get very pricy, very quickly if you decide on a lower deductible, higher reimbursement rate and higher annual limit – as our sample quotes show. Sample Quote for Cat – one lower end and one higher end. Sample Quotes for Dog – one low end one high end. Coverage begins on the 1st and the 15th of the month after payment is received. Accident and wellness coverage begins the day after the effective date. However, illness treatment is subject to a 30 day waiting period. Ligament and knee problems are also subject to a 12 month waiting period upon enrollment, and hereditary and congenital conditions have a 6 month waiting period. While ASPCA does cover chronic conditions, your pet must be symptom free for at least 180 days before coverage can begin again. If your pet needs treatment for the same ailment less than 180 days from their last treatment it will not be covered. 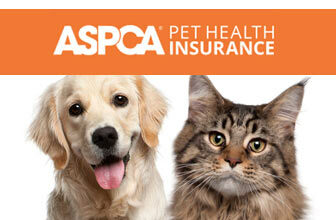 With ASPCA pet insurance you can visit any licensed veterinarian in the United States or Canada. With ASPCA's plans pre-existing conditions, declawing, food, vitamins, and cosmetic treatments are excluded from every level of plan, as is pregnancy and breeding related costs. ASPCA offers deductibles amounts of $100, $250, and $500 as options for each plan. Claims must be submitted within 270 days, and it will usually take 2 weeks for claims to be processed. ASPCA does give the option of providing reimbursements through direct deposits so you can receive your money as quickly as possible. With ASPCA you will have to download a claim form, fill it out and send it to them. They have no online claim submittal process. ASPCA offers reimbursement levels of 70%, 80%, and 90%. They annual limits of $5,000, $10,000, $15,000, $20,000 and a no-limits option for each of their plans, and they do not have any lifetime limits. ASPCA offers three wellness options for your choosing. The first choice is the “Basic” care, which covers wellness exams, deworming, certain vaccinations and some blood tests. It costs $9.95/month and has an annual limit of $250 (note that each procedure has a limit that adds up to the total of $250 allowable). The second option is “Standard” care. It provides coverage for all the same issues as “Basic” care plus dental cleaning OR spay, and a health certificate. 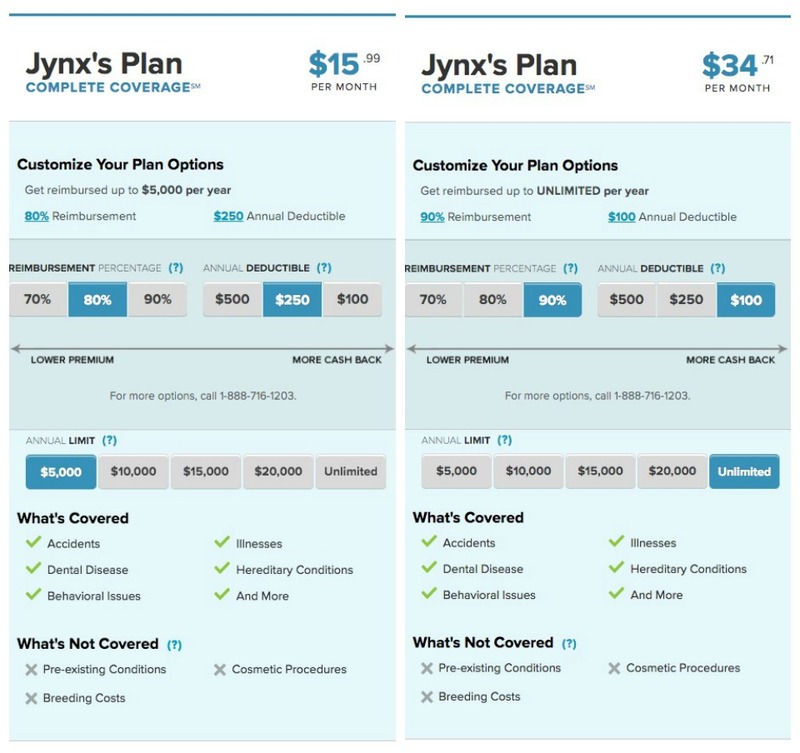 “Standard” care costs $14.95/month, and has an annual limit of $350. The third option is “Prime” care. This option covers all of the same issues as the “Standard” care plus flea and heart-worm prevention, additional vaccinations, and additional blood and urinalysis testing. 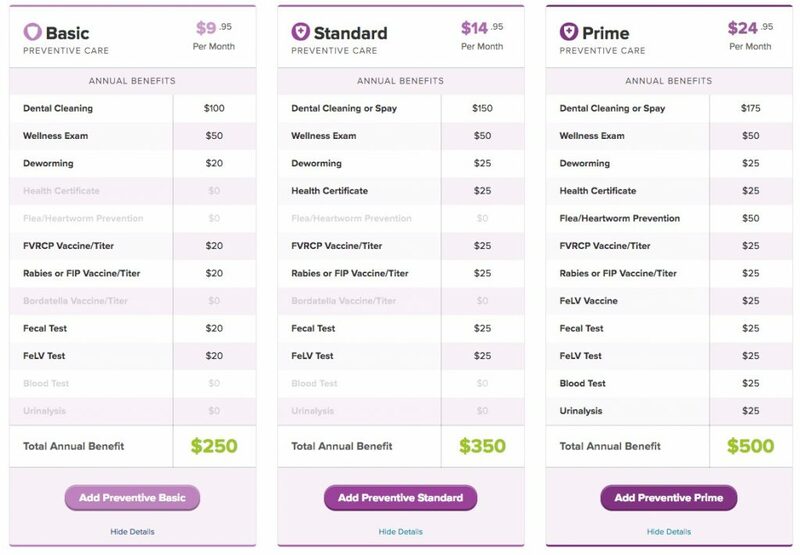 “Prime” care costs $24.95/month, and has an annual limit of $500. ASPCA Wellness Add-ons – three levels for both cats and dogs. 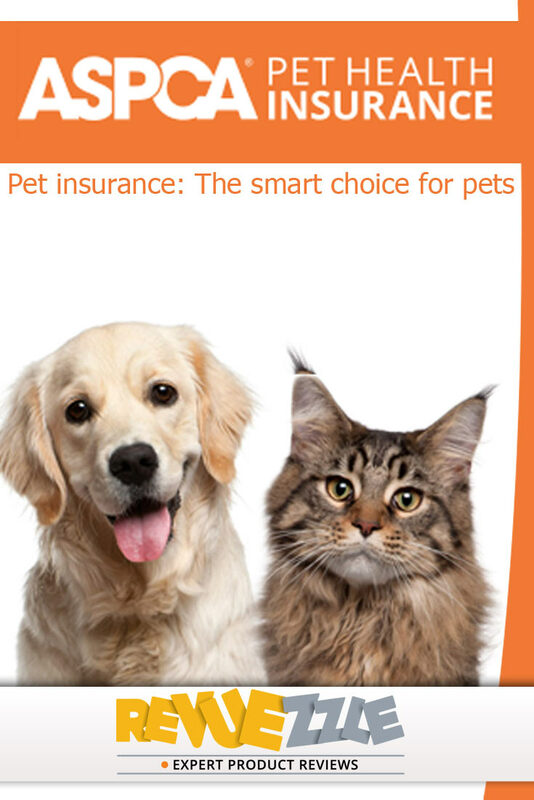 The ASPCA pet insurance website makes it very easy for you to enroll your pet. Simply click on the “get a quote” button that is all over their website. Then you just have to fill in the details of yourself and your pet to get a quote and continue to payment. Customer service representatives for ASPCA pet insurance are available Monday-Friday, 8am-9pm EST, and Saturdays from 9am-5pm EST. They can be contacted by phone at 1-866-204—6764 or email at cservice@aspcapetinsurance.com. They unfortunately do not have a live chat option on their website, and when contacted by e-mail to clarify some issues they’re customer service team took a bit longer to respond than other pet insurance companies, so perspective customers should be aware that this may be an issue. Pricing depends on your geographic location, deductible, reimbursement level, annual limit, and the breed and age of your pet. For both cats and dogs you have a choice of 70%, 80% or 90% reimbursement. $100, $250, or $500 deductibles. $5,000, $10,000, $15,000, $20,000 or unlimited annual limits. You can select any combination of these and it will be reflected accordingly in your monthly premium. *Our Sample prices are based on a 2 year old female mixed breed dog or 2 year female old domestic short-hair cat from Minnesota with a $250 deductible and 80% reimbursement level. Please Note: Prices are given as examples based on the criteria listed. Be aware that the price you are quoted may be different based on your pet's specific age, needs, and coverage. Choice of monthly, quarterly, semi-annually, or yearly payment. Apparently ASPCA has recently changed their policies so that there is no longer any age limits to enroll in their pet insurance and they have no age limits once enrolled either. Pets 8 weeks and older are eligible for coverage. There is an age limit of 12 for dogs and 14 for cats for new enrollment. If your pet is already enrolled with ASPCA, then there is no age limit for coverage. ASPCA offers 3 optional wellness plans. Accident and injury are covered with the the Complete Coverage Plan and accidents are covered with the Accident Only plan. The ASPCA will never increase your premiums based on claims or your pet’s health. No online claim submittal. ASPCA has $5,000, $10,000, $15,000, $20,000 and no-limits annual limits. They have no lifetime limits. Alternative therapy, behavioral training, hereditary and congenital conditions as well as exam fees, stem-cell therapy, chemotherapy and acupuncture are covered with the Complete Coverage plan. Pricing Based on: A 2 year old mixed breed female dog from Minnesota or a 2 year old female domestic short-haired cat from Minnesota with a $250 deductible, 80% reimbursement level. ASPCA pet insurance is best suited for pet owners who extensive and comprehensive coverage in one plan with the ability to choose deductibles, reimbursement levels and annual limits – and are willing to pay more for this coverage. With two different main plans (Complete Coverage and Accident Only), plus three different add-on plans for wellness coverage, the choices given to pet owners by the ASPCA pet insurance is excellent. This allows owners to look at exactly what they want coverage for, and get a plan that provides exactly that – just be aware you will pay a premium price for it. You will not find this coverage with many pet insurance companies, but ASPCA offers full coverage for these kinds of treatments. Most other pet insurance companies state “Cancer Treatments” but do not go into detail as to what that actually covers. ASPCA is very upfront about what they cover. These kinds of treatments are normally out of the reach of most pet owners even though they would provide the treatments if they could afford them – with ASPCA you would get an affordable option to provide this kind of treatment to your beloved pet. With ASPCA you will not be required to provide a pre-coverage veterinary exam of your pet. Many pet insurance providers like to exclude the actual vet examination fee from their coverages. With ASPCA you get full coverage for Exam fees. The ASPCA offers 10% discounts if you register more than 1 pet with them. This is a helpful bonus since paying full price for insurance for more than 1 pet can get very expensive. While ASPCA's coverage under their Complete Coverage plan is second to none, it does come with a premium price. By changing the deductible to $100 and with a 90% reimbursement and no annual limits it is a very pricey plan at over $60/month for our sample dog. When buying insurance from the ASPCA you can be confident that you will get the experience and care they have developed from being the oldest animal humane society in North America. 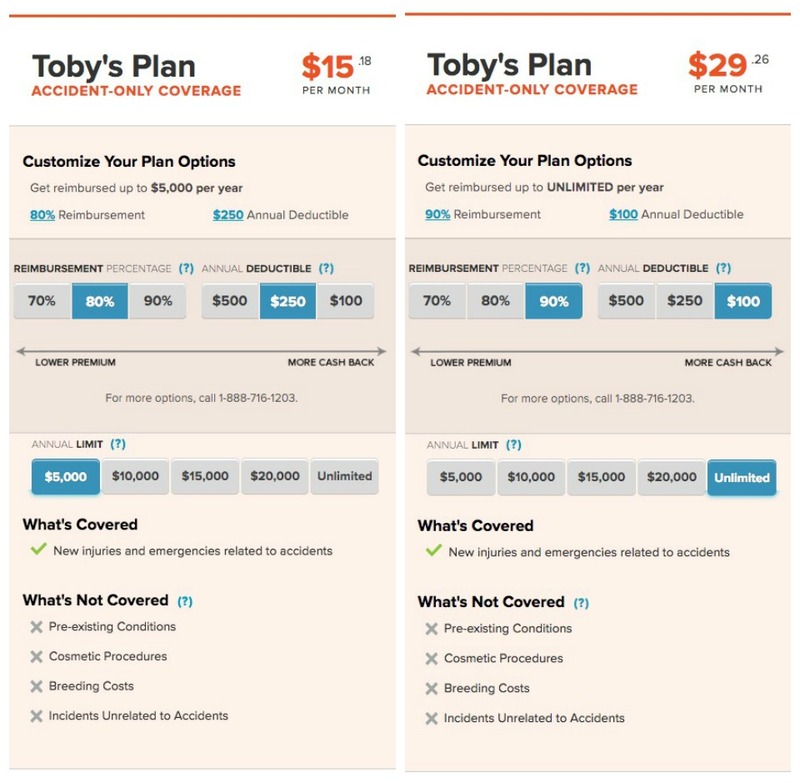 With their two customizable plans, you can get as little or as much coverage as you feel you need. Just be aware that you will pay for that premium coverage. Customizable with pick and choose features. When buying insurance from the ASPCA you can be confident that you will get the experience and care they have developed from being the oldest animal humane society in North America. With their extremely customizable plans, you can get as little or as much coverage as you feel you need. Pricing depends on your geographic location, the level of coverage you choose, and the breed and age of your pet. For dogs, coverage will cost around $10.50/month for Level 1, $20/month for Level 2, $30/month for Level 3, and $41/month for Level 4. For cats, monthly cost will be around $7.50 for Level 1, $16 for Level 2, $23 for Level 3, and $35 for Level 4. *Sample prices are based on a 2 year old mixed breed pet from Michigan with a $250 deductible and 80% reimbursement level. Did you know you can get a 10 percent multi-pet discount when you add all of your pets to ASPCA Pet Health Insurance?